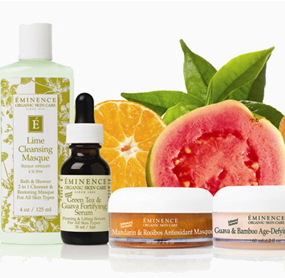 For serious skin care, Harmony carries a very reliable line of Eminence organic products, which is a delicious skin care line that uses 100% organically grown, hand-picked fresh herbs, fruits and vegetables plus pure spring water in their nourishing, rejuvenating products. Rich in essential mineral, nutrients, vitamins and antioxidants. 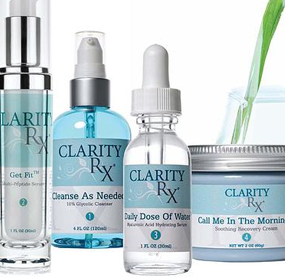 Or ask about our ClarityRx Clinical Skin Care line. Utilizing the latest in cosmetic technology along with conventional and organic based ingredients, Clarity's high performance products will create positive changes in all skin types. Fight off impurities. Our natural cleansers gently remove impurities to leave skin feeling balanced and refreshed. Hydrate your skin for a radiant look. Our moisturizers deliver vitamins and nutrients extracted from whole fruits and vegetables for deep hydration and powerful results. Nourish and treat the skin with Harmony masques and treatments which use concentrated amounts of vitamins and nutrients that help to keep the skin moisturize, calmed, and healed by changing its appearance, leaving it radiant and fresh. Get clear, smooth looking skin. Our natural, botanical exfoliants refine your complexion’s appearance by removing dehydrated skin and uncovering skin’s youthful radiance. Tone, refresh, and balance the skin’s natural pH with Harmony’s toniques and mists. These great products contain aromatherapy benefits that leave the skin glowing and refreshed. Concentrated treatments for all skin concerns. These unique treatments use a liposome base that ensure penetration in the skin by infusing it with healing vitamins and herbs. Professional treatments to help with a variety of skin concerns. Concentrated antioxidant and vitamin-rich ingredients will leave skin looking and feeling moisturized and revitalized. Protect the skin from the visible signs of premature aging. Shield the skin from harmful UV rays with all-natural SPF protection. The products used by Harmony are created with healing, organic ingredients that help promote soft and supple ski, leaving it ready for the beach. Reduce the appearance of fine lines, wrinkles, dark circles and puffiness. Treat, protect and soothe delicate skin around the eyes with products full in vitamins and other ingredients that are rich in nutrients. Normal: If the skin has an even tone and is not overly dry, oily or sensitive, it is considered to be normal. Ask for Harmony selection of products that helps to keep the skin looking even, youthful and hydrated. Combination:If the skin has an even tone and is not overly dry or oily, it might be considered as a combination skin. This type of skin may experience occasional shine on the chin, nose and forehead or dryness on cheeks, lips and around eye contour area. 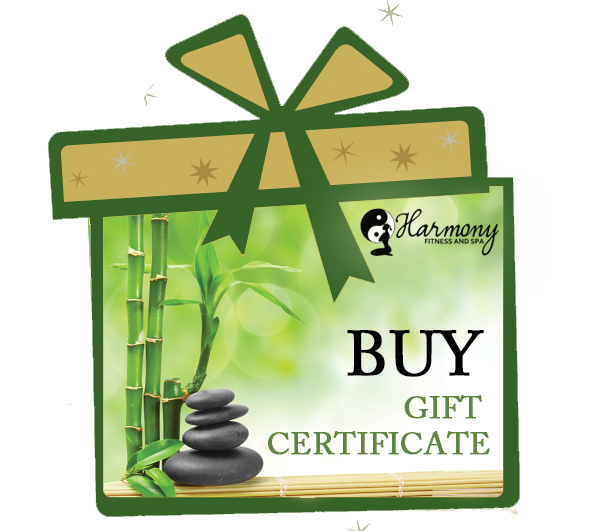 Ask for Harmony selection of products that helps to keep the skin looking even and toned. Sensitive Skin: If the skin has fine pores, can be easily irritated and is prone to redness, it might be considered as sensitive skin. Ask for our selection of products that helps to soothe and calm sensitive skins. Oily Skin: For skin that has a shiny appearance, with visible pores, and is predisposed to spots and blemishes, and also has the benefit of not showing lines easily, but needs to be maintained to help prevent breakouts and to control shine, Harmony has a great selection of products that can achieve results that help combat the problems that an oily complexion might bring to people. Dry Skin: If the skin lacks moisture, feels tight, and has pores that are almost invisible, it could be considered a dry skin. This type of skin has noticeable fine lines around eyes and lip contour areas. Harmony has a great line of products that help hydrate, moisturize and repair dry skin.